Bring the power of digital media to your market with attractive, affordable and engaging results. Technical literature, business brochures, product catalogues, newsletters, magazine or educational material specifically for digital publication, embedded on your website and readable on desktops, tablets, e-readers and mobile devices. An online publication is an ideal way to test market your audience and distribution can be specifically targeted to reach the people important to you. Producing an interactive, page turning publication is relatively inexpensive to design and produce. Any existing web and print assets can be restyled or brand new page-turning digital editions created for the latest readable formats. • Adobe Portable Document Format (PDF) | A universal standard for preserving original design, layout and styling, regardless of the application used to create the document. • Dedicated Reader Formats | Electronic reading software designed for easy on screen reading developed by Sony, Microsoft and other e-reader platforms. • Mobipocket Reader | Another dedicated format designed for the latest mobile phones. • Epub | Currently the favourite industry standard with encryption and digital rights management programming. O n c e   t h e   l i t e r a t u r e   i s   c r e a t e d   a n d   d i g i t a l l y   p u b l i s h e d   i t   c a n   b e   d i s p l a y e d   a s   a   f u l l y   f u n c t i o n a l   p u b l i c a t i o n   a t   a   c u s t o m i z e d   a n d   r e a d e r   f r i e n d l y   s c r e e n   s i z e . The digital files can be easily updated and held for creating web pages or colour printing at a later date. Studiografik can design and produce your publication in different formats or for different publishing destinations and platforms with the same content and layout from existing Office, Word, Powerpoint and PDF files. Looking for a dynamic page turning digital publication? Call Studiografik direct on 0749 268 4339, email or post your project here. 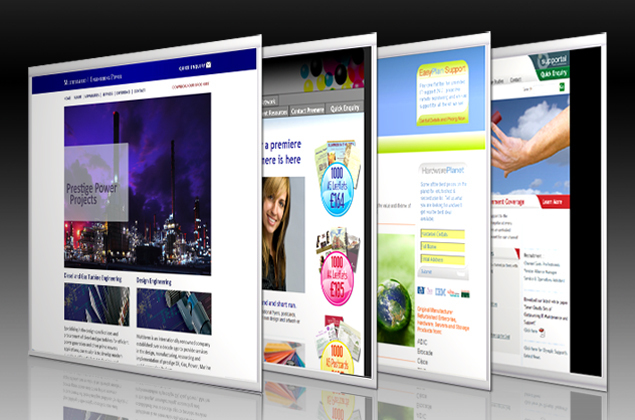 Attractive and affordable results designed to help clients make more of their websites, brochures and branding. Whether it's increased visibility, promoting products and services or more sales online, we have the skills on hand to keep you and your audience engaged.